Marks & Scars black eyeliner looking eyes. white marking from chin to chest. half black tail. 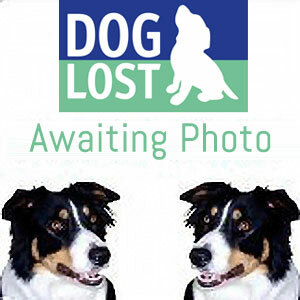 Where Lost Star went missing from dean street forest gate and run towards forest lane. Are the posters still up? Did you contact local press? Hope for good news soon, don't give up. Have put Star on twitter + will circulate. email sent with advise what best to do. At least she is still in the area, posters will definitely make the difference and you have done well to get so many up and make Star high profile and too hot to handle like Kimmybear said. Can you contact local press? Postmen/dustmen also worth talking too. Hope you get her back soon. Sammy do you know where he lives? could you maybe get the police involved? As a thought, is there a railway line nearby? Hope not, but if so you need to contact Network Rail and tell them your dog is missing and you need to poster around the station heavily. I suspect someone has taken her in, but do check the railways and also keep checking the vets in the area and the rescues, as they do not always check the chips - they should but sometimes its overlooked. Keep working on this and you'll get her home. a sighting phoned into HQ from the posters...owner is ringing now and will update us later. Cross posted on the RHU forum. Hope Star is safely home very soon. So sorry that Star is missing. Dog Lost Posters of Star have been put up in, and at the entrances to Wanstead Park, E12 where there is a huge dog walking community. Many dogs that go missing in this area are taken to Newham Kennels Tel 0208 586 9739. Good luck and I hope Star is home with you soon. Poster e mailed to helpers in E6,7,10,11,12,13,15. Sorry to see that STAR is missing.